As of 3/19/19, this product will soon be discontinued. It is recommenced to order immediately! 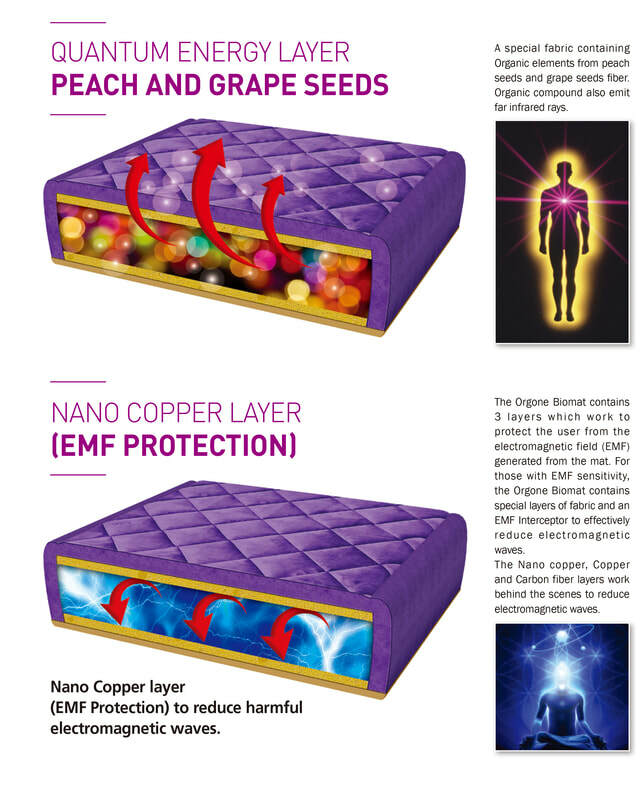 Richway has developed the world’s first infrared mattress topper, the Orgone BioMat - a brand new product, designed specifically for overnight sleeping. It combines the full electronics of the Amethyst BioMat with the comfort and materials of the Quantum Energy Pad, for a totally new experience. It is better to think of the Orgone BioMat as a sleeping system, rather than a treatment system. It is much softer and lighter than the Amethyst BioMat, and less expensive, because it does not include the rows of crystals. It has an amethyst fabric, developed by Richway, as one of it’s internal layers. The Orgone BioMat plugs into the wall and produces far infrared light and negative ions, just like the Amethyst BioMat. It even has the same range of temperatures and settings, as well as independent heating zones for different sleeping preferences. However, it does not replicate the full therapeutic effects of the Amethyst BioMat - this is because Amethyst BioMats use infrared light to heat rows of crystal, which then emit additional infrared light on their own. It is not just infrared therapy. It is hot stone therapy, using infrared light as the heat source. The Orgone BioMat is more direct. It simply heats the body using infrared light. 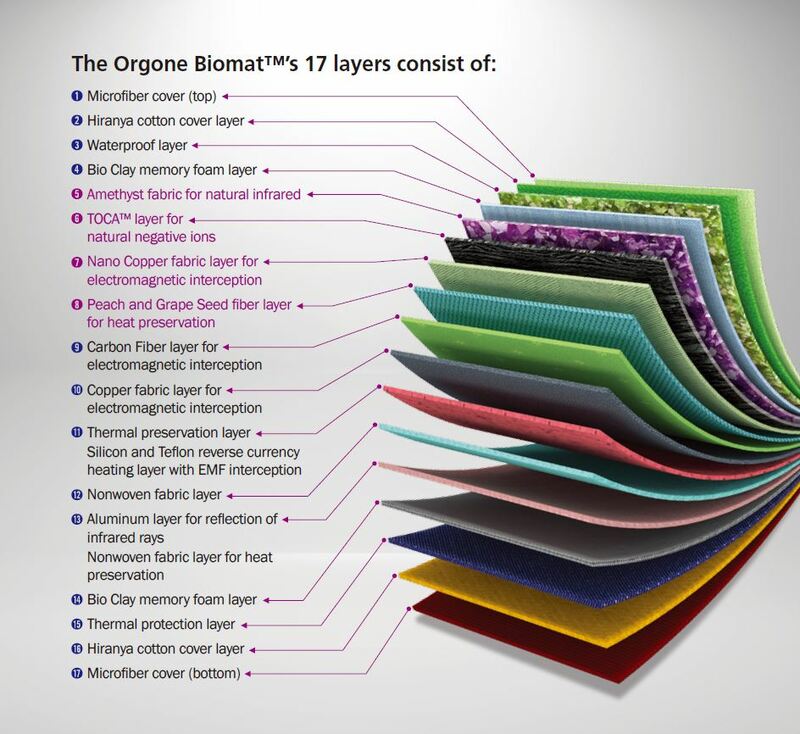 We recommend using the Orgone BioMat on the low temperature settings, for overnight sleeping. If higher temperature therapeutic treatment is desired, the results are better with the Amethyst BioMat. There is simply no substitute for laying on a bed of hot crystal. If overnight sleeping with low temperature setting is desired, we recommend the Orgone BioMat because it is more comfortable, and more affordable. For anyone unsure of which to purchase - whether it be the Amethyst BioMat and the Orgone BioMat, a good alternative is to get the Amethyst BioMat and the Quantum Energy Pad. 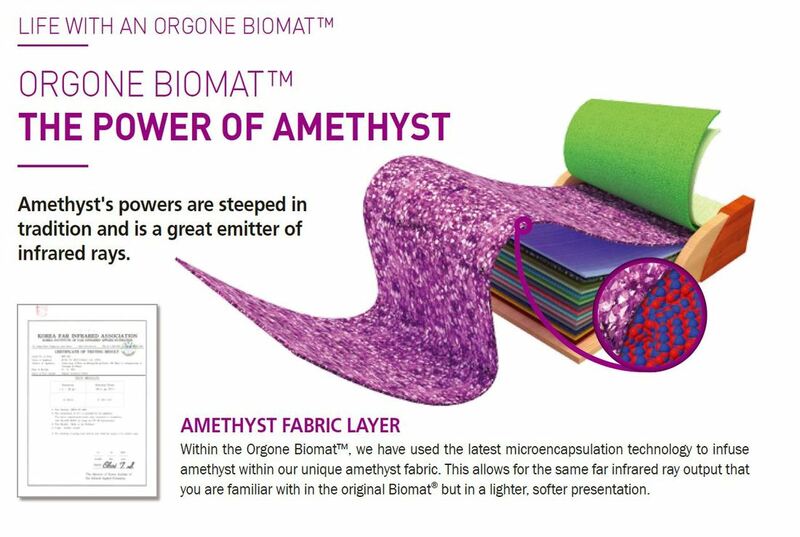 When used together, the Amethyst BioMat and Quantum Energy Pad produce an experience very similar to the Orgone BioMat. The way we attain sleep has not changed in thousands of years. Our newer creation, the Orgone BioMat™, is symbolic of our latest progressions in our study of sleep.